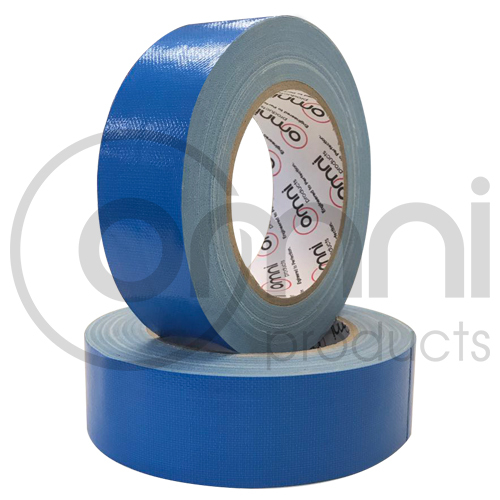 Omni has developed the UV resistant Omni 130 Cloth Tape to the rendering industry. Renderers Cloth tape is a strong polyethylene-coated waterproof cloth tape, designed to withstand outdoor weather conditions. This tape comes with cloth backing, is highly durable, and has UV-resistant adhesive. The cloth used for the backing of the tape has been created with a combination of vinyl coating and aggressive adhesive. The tape has PE coated UV which stabilises performance, making it one of the best adhesive tapes for outdoor application. The UV rendered cloth tape is different from a general-purpose cloth tape as it is used in more robust environments. The renderers grade cloth tape is designed to adhere to surfaces like brickwork and concrete. As the name suggests, cloth tape has a strong and flexible woven cloth backing. Being a cloth material, this tape is hand tearable for added convenience. The Omni UV Renderers Cloth Tape is one of the best products available in the industry and is used by professionals in various sectors. The tape is available in different sizes which you can select as per your needs and requirement.